ITV has reported a sharp increase in the number of users of its on-demand and catch-up TV service ITV Hub. Overall online consumption of ITV Hub content in 2016 increased by 42%, with around half of all the UK's 16-24 year olds now registered with the service. Requests to see regular length TV programmes increased by 24%. Driven by strong online viewing figures and demand for advertising online, ITV increased revenues in its online, pay and interactive business by 23%. But this was not enough to stop overall profits at the broadcaster falling in the past year, with traditional ad revenue falling. Wider political and economical uncertainty was also credited as a factor for this decline in the broadcaster's full year results, published today. Across the full business, ITV reported a 14% drop in annual pre-tax profits to £553m. During 2017, ITV confirmed it is still on target to launch BritBox in the USA, a 50/50 joint venture with the BBC, which will provide subscribers with access to recent and archive British TV. ITV confirmed it intends to subsequently roll out the service internationally. Last week, ITV announced plans for a major overhaul of its South Bank HQ, which will result in its iconic London Studios closing next year and staff being moved to temporary accommodation elsewhere in London until the refurb to a predominately office-based HQ is complete. 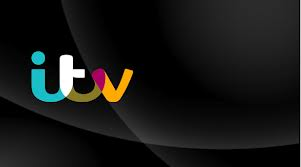 ITV now owns all but two of the former Channel 3 regional licences, following its acquisition of UTV during the company's last financial year.